LAWRENCE — Around the world, more land is being converted into agricultural production to feed the growing global population. However, the current model of agriculture is unsustainable, uses unprecedented amounts of fossil-carbon energy and contributes to pollution, water degradation and other problems. A University of Kansas law professor has written a book calling for support of a revolution in agriculture and outlines the legal, national and international political innovations that would be required to make it happen. 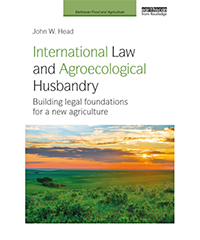 John Head, Robert W. Wagstaff Distinguished Professor of Law at KU, has written “International Law and Agroecological Husbandry: Building Legal Foundations for a New Agriculture.” The book first outlines the “extractive agriculture” system the modern world has used for the last few centuries and its unsustainability. Head then explores the prospects for transitioning to a system that could produce grains perennially and achieve adequate yields to feed the world while reducing problems such as climate change and soil degradation. Head, who grew up on a farm in northeast Missouri and has practiced international and comparative law, emphasizes his support for research being done at organizations such as the Land Institute in Salina. The institute, along with other research bodies around the world, is studying how to develop high-yield grain crops that could produce food year after year without replanting. Drawing inspiration from native grassland ecosystems such as those of the prairies that once covered North America’s Great Plains, the scientific efforts aim not only to develop crops that are perennial — wheat, for instance, that would not require yearly land preparation, planting and intense weed and pest control efforts — but that are also grown in mixtures with other plants. If successful, research efforts at the Land Institute and elsewhere would revolutionize the way agriculture can be practiced around the world, Head wrote. 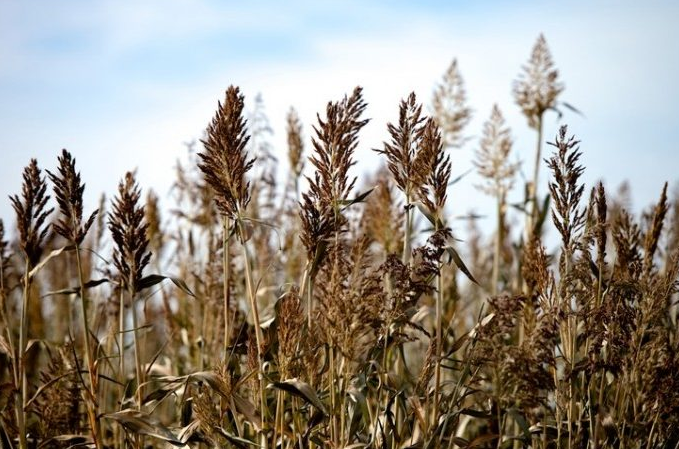 “What they’ve achieved makes it pretty clear that it is possible to move from annual crops in a monoculture to perennial crops in a polyculture and produce adequate yields,” Head said of research at the Land Institute and other organizations. The book goes on to outline the steps necessary to make a global transition to an agro-ecological system possible. Perhaps most importantly, expanded funding of research into perennial grain production is vital. Policy makers, governments and private donors around the world increasing the funding available for such work could greatly expedite progress and allow for new discoveries, Head wrote. Also central to agricultural reform, Head said, would be a shift away from traditional agricultural subsidies and subsidies for the fossil carbon industry. These and other initiatives would confront obstacles, but Head outlines how they could be possible and urges that they are necessary to put the world’s agriculture on a sustainable footing. “International Law and Agroecological Husbandry” also calls for American leadership in agricultural reform in the form of a 50-year farm bill. Such a bill could take a much broader, big-picture approach to the evolution of agriculture and necessary changes, instead of focusing on five-year terms as it does now. It could also serve as a model for other countries around the world. “In that respect, I elaborate quite a bit on an idea that Wes Jackson and Wendell Berry detailed in a New York Times column about a 50-year farm bill that would take a long-term look at this transition,” Head said. The book also examines how a new global treaty could be used as an international tool to advance an agroecological system. Agreements between nations to support research and the implementation of such a system could both serve as a mechanism to help nations work together and as an incentive to continue to make progress. Finally, Head includes a chapter exploring the idea of sovereignty and how moving to a more modern, revised version of the idea could facilitate progress in agriculture as well as numerous other international concerns. Currently, sovereignty is heavily dependent on 16th and 17th century ideas on what it means for a nation to be sovereign. Head has already begun work on a new book about how new ideas of sovereignty could be developed and how they could create international collaboration that is more representative and effective. There is good scientific evidence and progress around the world to suggest that fundamental agricultural reform is possible, if given the proper support, Head said. This period in history could be a key moment in making a monumental transition that would help continue to feed the world while addressing many of the problems in the current model of growing the globe’s food. Photo: The Land Institute, Salina. Courtesy the Land Institute.